This morning, I delivered this quilt to its owner...all hand quilted. I do at least one every summer for this lady. 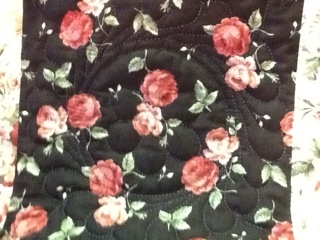 Very hard to see the quilting on this one!!! 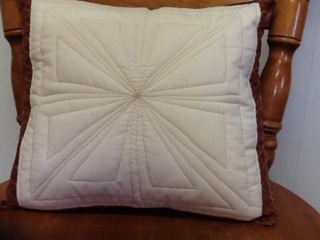 Called Sand Dollar...quilting it for a good friend. I have a couple of quilts travelling this summer...one of mine went to France and one went to Austria this past weekend. So nice to meet these folks! Have a fun week everyone!!!! 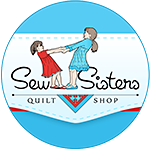 back reading blogs and back to posting my own again, you never fail to amaze me with the amount of hand quilting you get done! Thank you Susan..nice to have you back!! I couldn't get to an email for you. Hope you see this. Wow, I am so impressed. 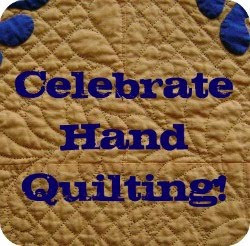 I cannot hand quilt, I just don't have the patience. I do so admire those that can! Yes last week I found it to hard to sew. It was to hot. Now this week Mark and three kids are here so probably won't get any thing done. Beach today and taking the girls shopping tomorrow as we are having rain . More sore feet tomorrow. 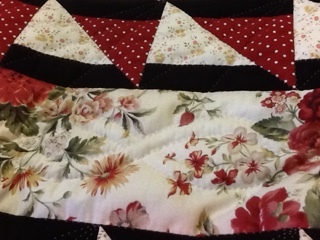 Both quilts are gorgeous and the pillow is great. 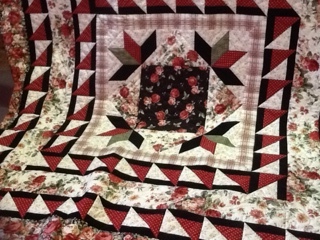 Wow, beautiful quilts. 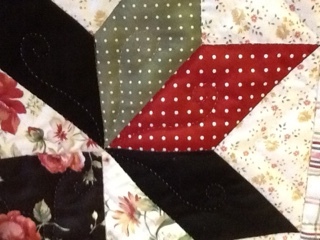 Amazing hand quilting! 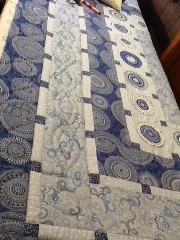 I am so slow at hand quilting, 4 years in and I am not even half way! Aww....don't you wish you could travel with your quilts? I love that pillow design.